Posted on 10/26/2015 by Neal Keller	in Live Review and tagged Arthur Bloom, benefit concert, Billy Corgan, DAR Constitution Hall, military veterans, Music Heals, MusiCorps, MusiCorps Wounded Warrior Band, Omega Studios, Roger Waters. Hearing a favorite song over the air while at work is something many of us can relate to. It can provide a break from the task at hand; it can recall old friends and other times; it can lift the spirits in the middle of a long day. In my case, the song I heard at work recently was a classic — “Comfortably Numb” by Pink Floyd. It has been a favorite since I heard it as a kid. 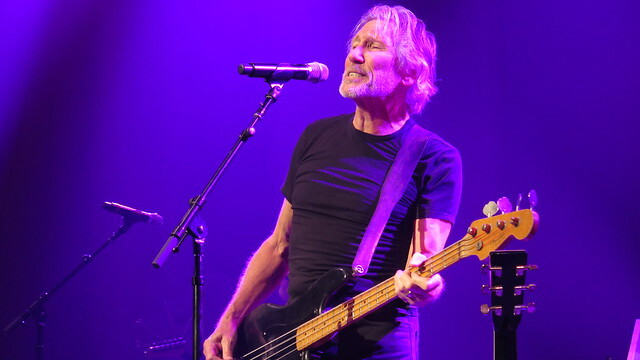 The added bonus on this occasion was that it was being performed, right here in Omega’s Studio A, by one of the original artists, founding member Roger Waters. Hearing the notes of the song drift through the studio control room, where I spend my working hours, made me stop for a second to just listen — and reflect. It was an immersive moment, not just for myself, but for everyone who shared in the experience. The staff of engineers at Omega Studios (5609 Fishers Ln., Rockville, Md.) put in a lot of hours and a lot of labor to make this hectic session a success, but I know that every one of us paused during the performances just to be there, to be in that moment. People need to be reminded to stop and smell the roses every now and then, to take in and experience an instant of perfection, but none of us needed a reminder on this day. Posted on 10/26/2015 by Mickey McCarter	in Live Review and tagged Athur Ashin, Autre Ne Veut, avant-garde, Bowery Ballroom, Brooklyn, U Street Music Hall. Arthur Ashin is a man of unusual aesthetics. As a singer, he sounds a bit like a Sam Smith. As an artist, he looks a bit like an Eminem. As an American, he adopted a stage name from an inscription in French found on an ornament in The Cloisters — Autre Ne Veut (“I want no other”). 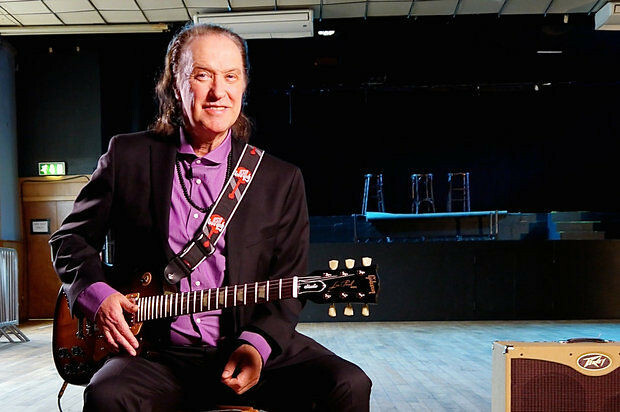 Let’s add another layer to this puzzle of a man: As a performer, he throws his whole body into his stage act, belting out his bluesy voice while fervently enunciating his words into the microphone. 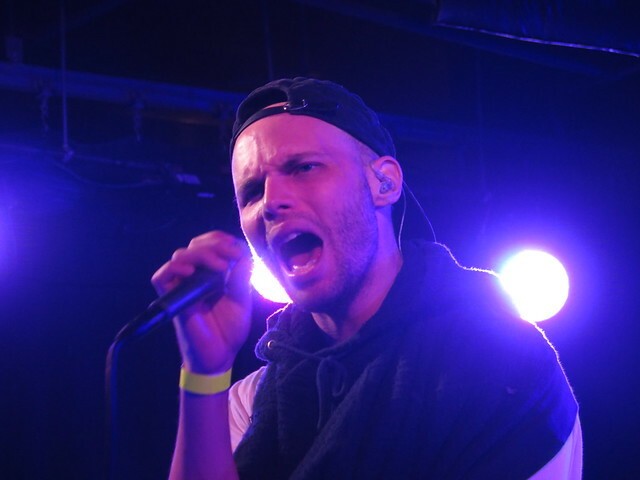 Autre Ne Veut released his third full-length album, Age of Transparency, on Oct. 2 via Downtown Records, and the alternative R&B artist made a tour stop in support of it at U Street Music Hall on Friday, Oct. 23. Posted on 10/23/2015 by Mickey McCarter	in Live Review and tagged Arthur Ashin, Autre Ne Veut, GEMS, Raleigh, U Street Music Hall. Hey, tonight is a busy night at U Street Music Hall. In the early show, alt-R&B artist Autre Ne Veut is headlining with support from former DC-based dreampop duo GEMS. Earlier this week, we told you a little bit about GEMS. 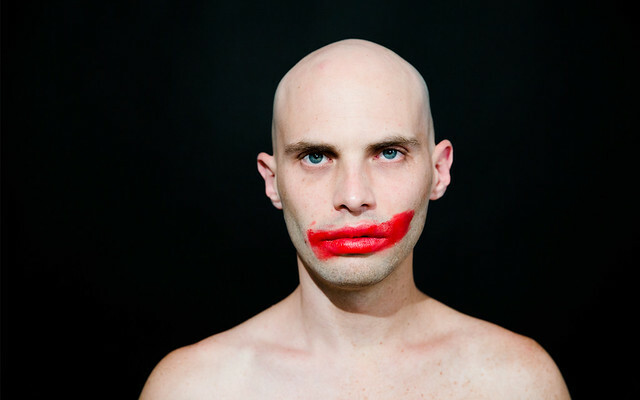 Well, we are overdue to tell you a little bit about Autre Ne Veut — French for “I want no other!” He’s actually American Arthur Ashin, hailing from Raleigh, NC, and he released his most recent full-length LP, Age of Transparency, via Downtown Records on Oct. 2. He performs tonight, Friday, Oct. 23, at U Street Music Hall in support of the album. In September, Autre Ne Veut released “Panic Room,” a smooth ditty that compares locking up love to being in a secure panic room. The clever video places Arthur in front of a panel of judges who listen to him sing a capella. But they judges are more like psychological counselors than American Idol rockers. Is he seeking acceptance or parole? This really kinda sets the stage for listening to Autre Ne Veut in more ways than one. In his videos, Arthur is typically clad in dress more akin to a hipster hip hop artist rather than an R&B crooner, occasionally appearing as a sort of super-villain, whose motives cannot be trusted. He’s an intriguing fellow, and he’s sure to be a captivating singer tonight at U Street Music Hall. Posted on 10/22/2015 by Mickey McCarter	in Live Review and tagged Boon, Born Ruffians, post-punk, Rock and Roll Hotel, Toronto, Young Rival. Canadian post-punk quartet Born Ruffians released a new album, simply titled RUFF, on Oct. 2 via Yep Roc. The band just wrapped up a tour of Europe, and they are set to start a US tour in support of the new record next week, visiting DC to perform at the Rock and Roll Hotel soon after on Tuesday, Nov. 3. 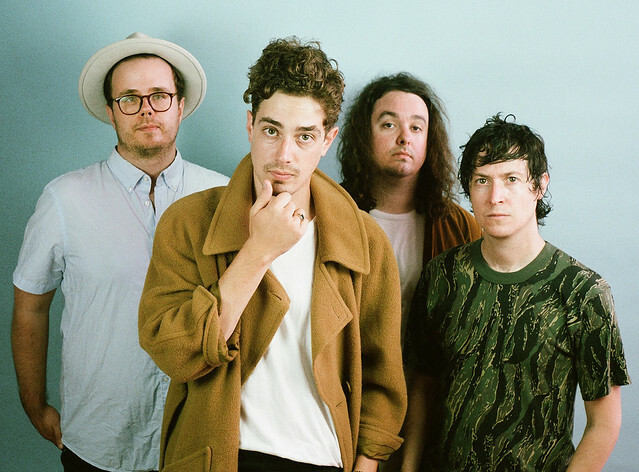 Born Ruffians’ new single, “Don’t Live Up,” has drawn praise from reviewers for its nervous energy and cautionary message. The clever video for the song depicts the band caught in a whirlwind of daily activities as the play gigs/grab drinks/go to bed/eat food/do it again. But is it all it’s cracked up to be? Still, Born Ruffians demonstrate some quality musical chops on their fourth album, and they promise to entertain on the accompanying tour! Posted on 10/22/2015 by Mickey McCarter	in Live Review and tagged Lawrence Gowan, metal, prog rock, progressive rock, Strathmore, Styx, Toronto, Vesperia. Lawrence Gowan has taken on vocal duties for the inimitable progressive rock band Styx for the past 17 years after replacing Dennis DeYoung. In that time, Lawrence has made an impression on audiences worldwide and left his own indelible mark on Styx. Styx returns to the DC metropolitan area for a show on Tuesday, Nov. 10, 2015, at the Music Center at Strathmore in Bethesda, Md., in a Concert to Benefit Community Services for Autistic Adults and Children. Prior to that show, Parklife DC chats with Lawrence about the music that moves him, performing with Styx, and future plans for the band. Mickey McCarter: Hey, Lawrence, it’s great to talk to you! You’ve been busy lately. You just got off the BIG Tour with Def Leppard, and now you’re launching into your own tour. Lawrence Gowan: Yes, we did our first show recently without Def Leppard after four months in Springfield, Mo. We had the big summer blockbuster tour where we could only play a little over an hour a night, so it’s great to get back to a two-hour set. And we’ll be playing in the DC area on Nov. 10 in Bethesda, Md. MM: So what can people expect? You were here in Virginia on July 2 at Jiffy Lube Live with a shorter set. How are the upcoming shows different? LG: This is an Evening with Styx. It’s not the fine blend of coffee that people got over the summer. This is the full-on espresso! Maybe a triple-shot! We’re able to go a lot deeper. It’s more akin to the DVD we put out a couple of years ago — an Evening with Styx. We are playing the entire Grand Illusion and the entire Pieces of Eight. It’s closer to that sort of evening, where we delve a lot deeper into various album tracks, and the show has a wide-ranging emotional arc to it than the onslaught of four hours of classic rock that people saw over the summer with Tesla, Styx, and Def Leppard. Posted on 10/21/2015 by Mickey McCarter	in Live Review and tagged disco, Larry Gus, new wave, punk, U Street Music Hall, YACHT. 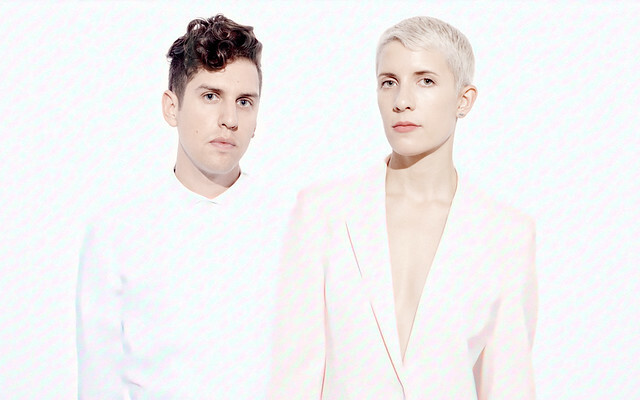 YACHT will perform at U Street Music Hall on Saturday, Nov. 7, after releasing their new album, I Thought the Future Would Be Cooler, last Friday. We’ve been recommending that you go! Today, the L.A.-based art pop collective debuted the video for the album’s title track — clearly in hopes that the future would have turned out cooler than it did. It’s really quite clever in pointing out the silliness of some things of NOW — including selfie sticks, Segways, vaping and Tinder. It’s a shame in a way that YACHT are no longer with DFA, as the label that made famous LCD Soundsystem is surely ground zero for a literal peek at now as the future from the reference point of a late ’70s/early ’80s synth-driven idealistic outlook formulated by the new wave sensibilities favored by both LCD and YACHT. All the same, YACHT clearly are in good form, and you should see them when they are here in a few short weeks.